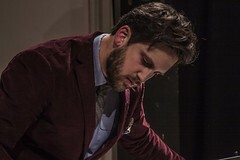 Anthony Marasco, composer and winner of the 2013 UnCaged Toy Piano Festival will be performing a series of new and improvised pieces with guitarist Michael Greinke. 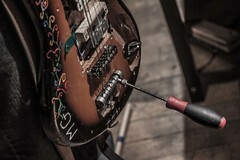 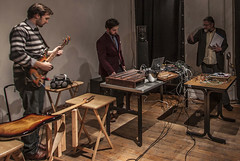 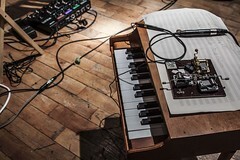 Drawing from unique sound sources such as homemade acoustic instruments, simple circuit-synthesizers and radical guitar preparations, the duo focuses on a communal approach to building sonic landscapes. 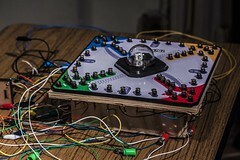 Come see the man of the hour perform some of his own homemade electronics! 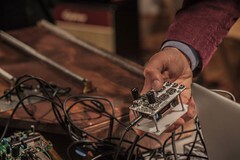 On Friday December 13th, composer and winner of the 2013 UnCaged Toy Piano Festival, Anthony Marasco will be performing a series of new and improvised pieces with guitarist Michael Greinke. 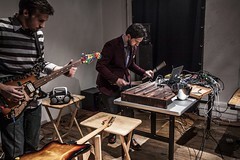 Drawing from unique sound sources such as homemade acoustic instruments, simple circuit-synthesizers and radical guitar preparations, the duo focuses on a communal approach to building sonic landscapes. 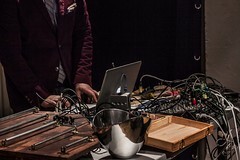 Anthony’s new work for toy piano and aeolian harp/plastorgan hybrid will be premiered the following night at the UnCaged Festival at the Dimenna Center of Classical Music. 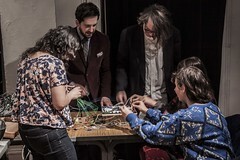 Come see the man of the hour perform some of his own homemade electronics! 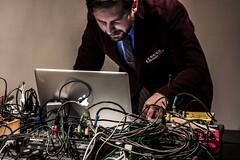 Anthony T. Marasco is a composer who takes influence from the aesthetics of today’s Digimodernist culture, exploring the relationships between the eccentric and the every-day, the strict and the indeterminate, the raw and the refined, and the retro and the contemporary. 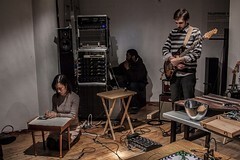 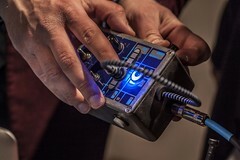 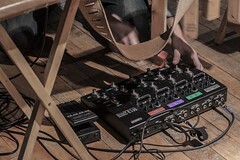 These explorations result in a wide variety of works written for electro-acoustic ensembles, interactive computer performance systems for groups and soloists, multimedia installations, and film scores. 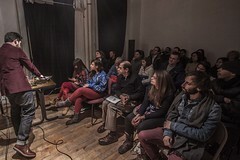 An internationally recognized composer, he has received commissions from ensembles, soloists, and institutions such as Phyllis Chen, the Quince Contemporary Vocal Ensemble, WIRED Magazine, Data Garden, Dirty Paloma, Lebanon Valley College, Color Field Ensemble,the soundSCAPE International Composition and Performance Exchange, and the University of Scranton. 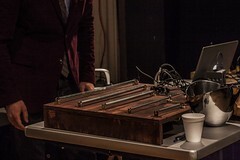 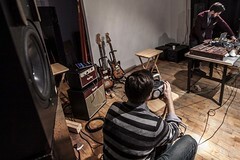 Marasco was the grand prize winner of the 2013 UnCaged Toy Piano Call for Scores, and selected participant for the 2011 Summer Institute for Contemporary Performance Practice’s Electronic Music Workshop. 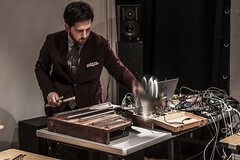 His compositions have also been featured at the 2009 and 2011 soundSCAPE International Composition and Performance Festival, the 2012 Penn State University Learning Design Summer Camp, and the 2013 Color Field Festival. 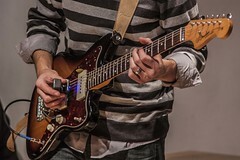 Marasco holds a master’s degree from Towson University and currently serves on the adjunct faculty at the University of Scranton, where he teaches courses in music history, digital music, film music, and composition.